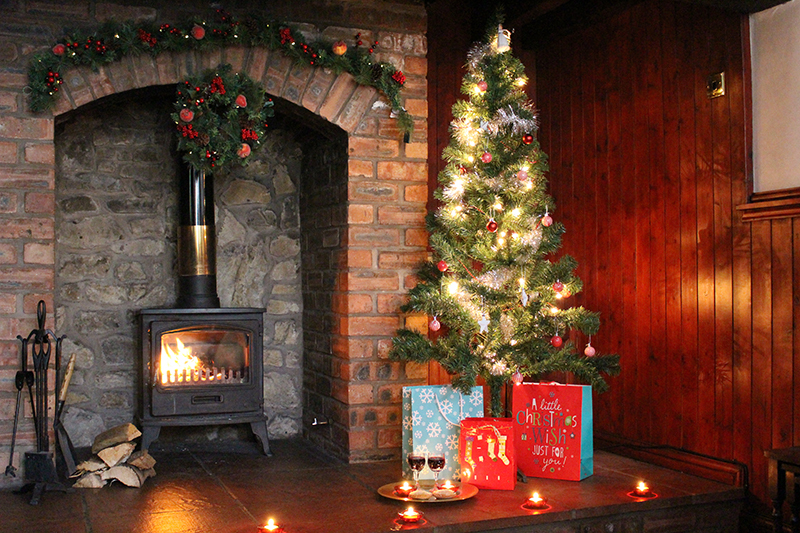 A charming, warm and romantic cottage for 2. 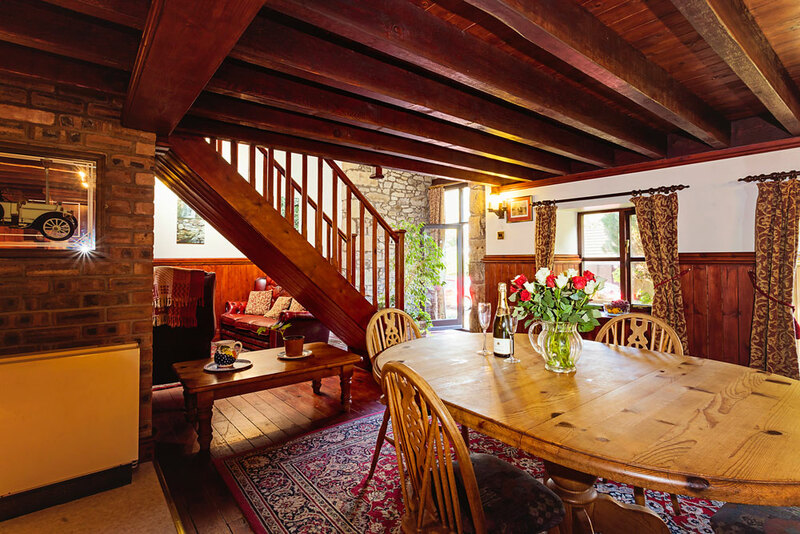 Salkeld Cottage displays the original timber beams and rafters with lofted bedroom. 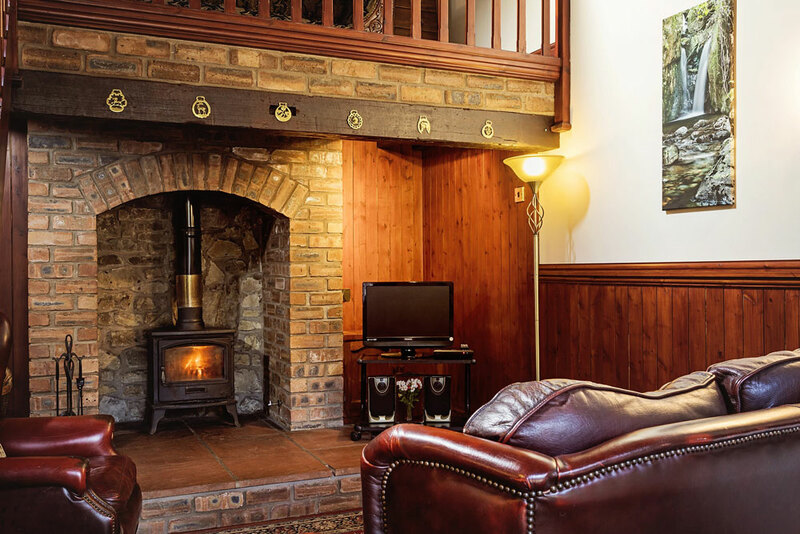 The lounge area is furnished with cosy leather chairs & settee, just right for snuggling around the large log burning stove, TV and DVD. 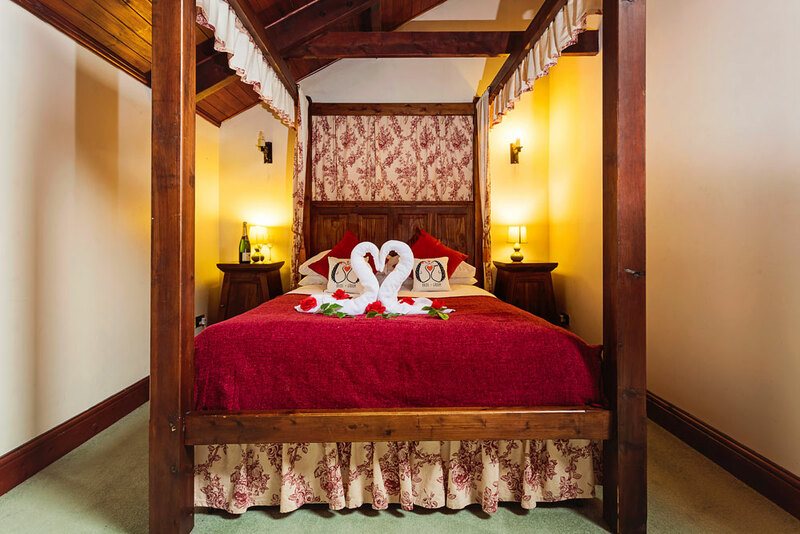 Salkeld cottage is one of our most romantic cottages for two people. 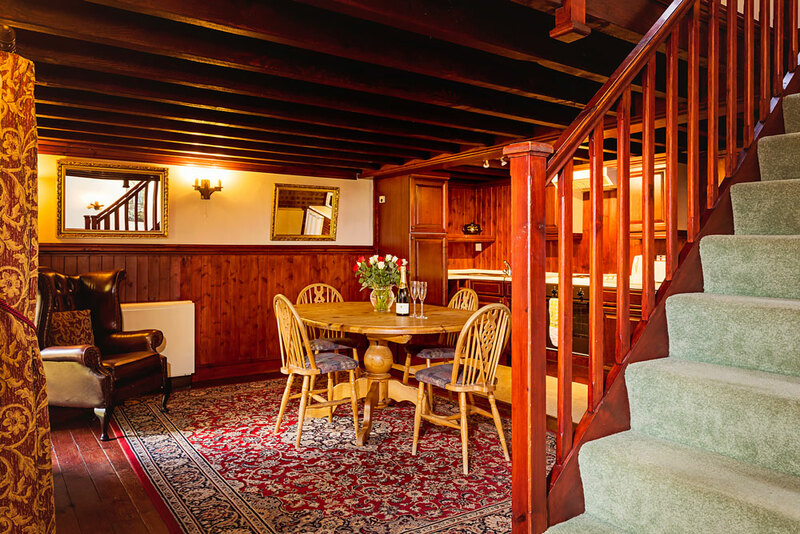 If your looking for a cosy cottage with lots of classic old English charm, then Salkeld is the holiday property for you. 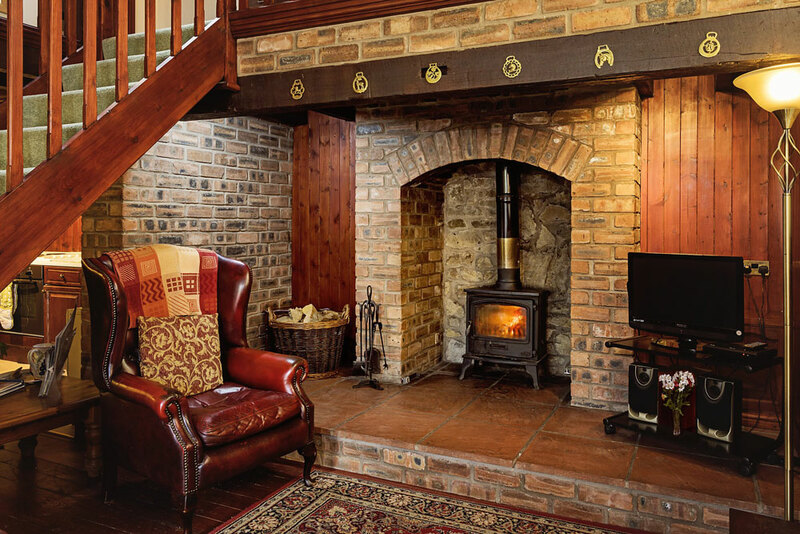 We provide Wi-Fi for all our guests free of charge and the background heating in the cottage is also included in the cottage price. Fuel for the fire is also provided*. (For prices see the table below). 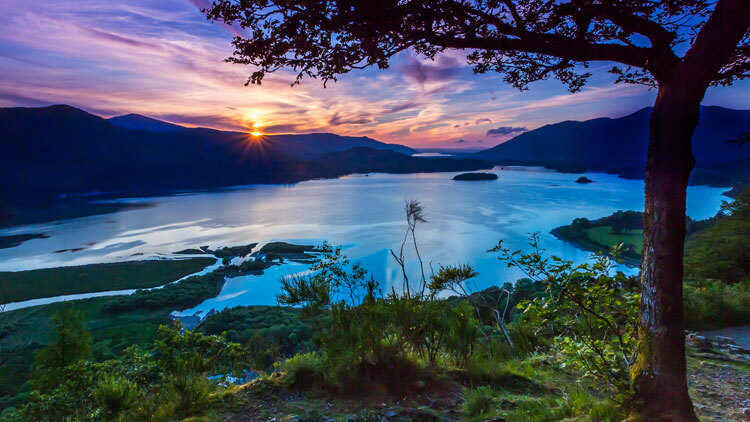 The mahogany kitchen is fully equipped for preparing romantic candlelit dinners around a pine table. Immediately outside the kitchen/dining area is a four seat bistro set for enjoying the morning sun with breakfast, whilst listening to the babbling brook and birdsong. 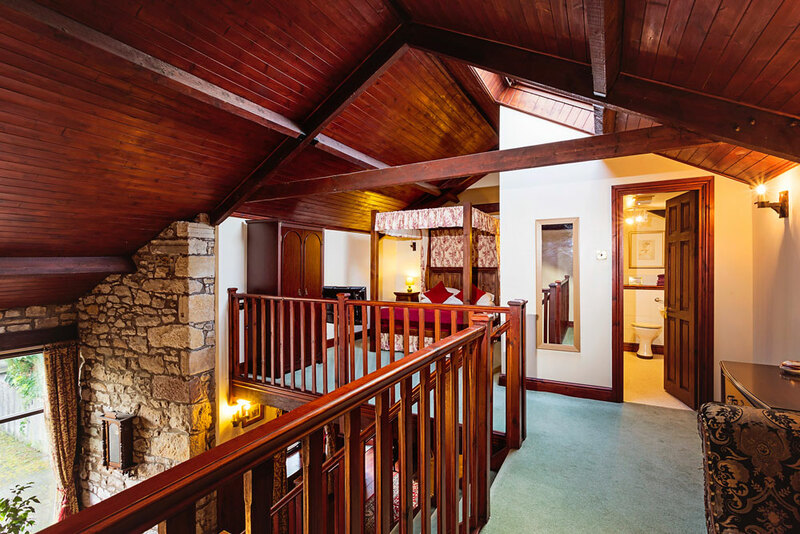 The lofted and galleried bedroom area gives a cosy chalet feel, in addition it has a four-poster bed with mahogany furniture. Another digital TV is located at the foot of the bed. The bathroom is fully fitted with bath/shower and the bath area converts into a steam cubicle for two. 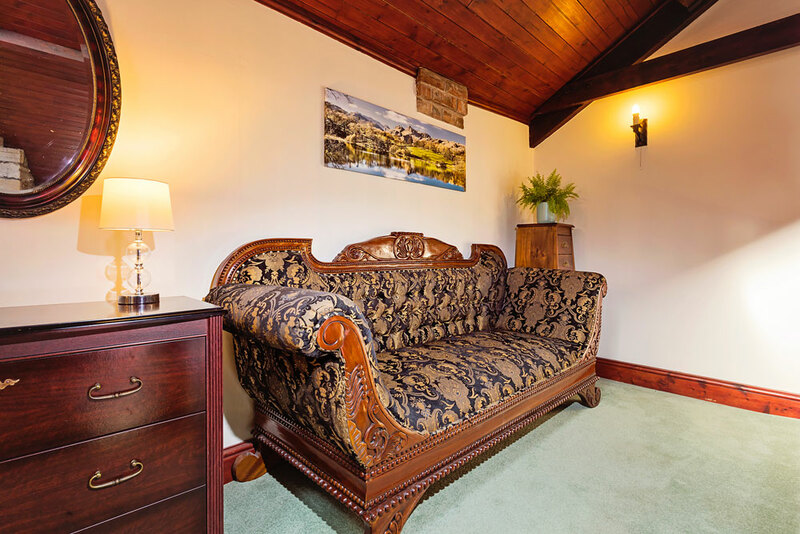 For intimate relaxation, a sumptuous six-seater Hydrotherapy Spa /hot tub (in log cabin opposite cottage) is available for your private hire throughout the year. 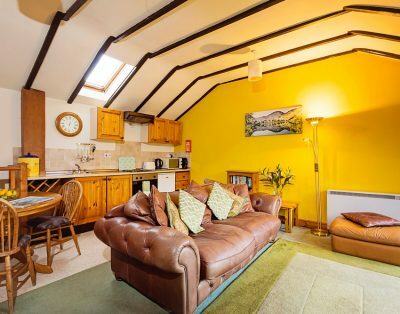 This is also one of our recommended dog friendly holiday cottages. Surprise your partner! 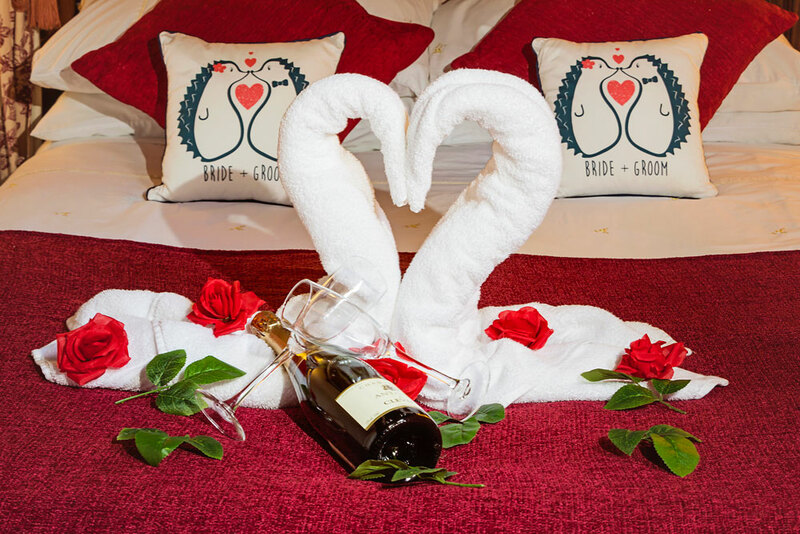 Flowers, champagne, chocolates, a fruit basket or wine can be arranged to greet you on your arrival. Please request this at the time of booking.